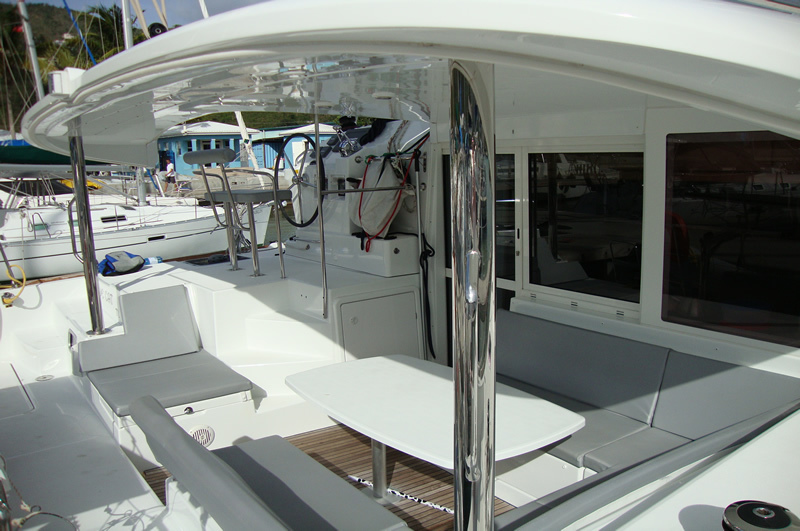 The Lagoon 400 replaced the Lagoon 410 and bridges the gap between the 380 and the 420. 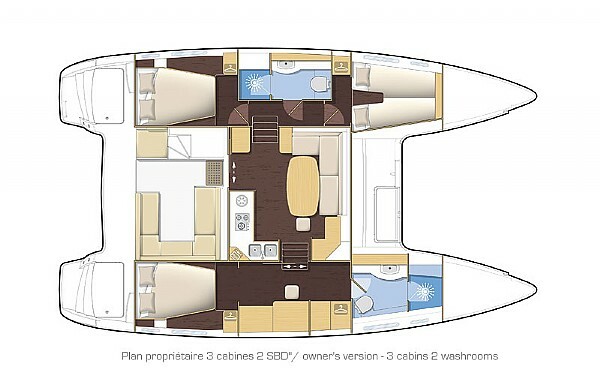 So, inspired by the lines of the new 62 foot flagship of the Lagoon fleet, the 400 has been completely refreshed and focused on both comfort and speed. 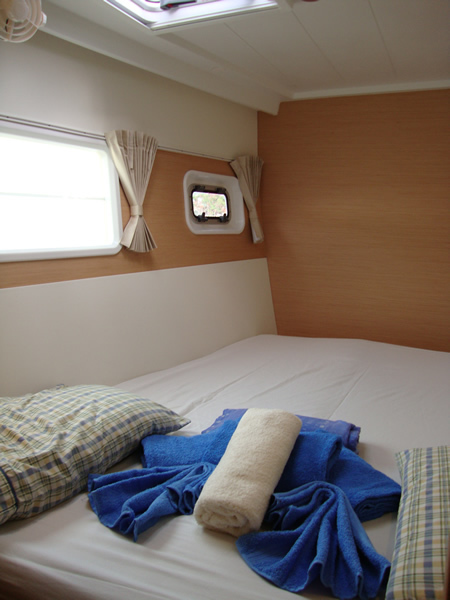 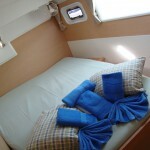 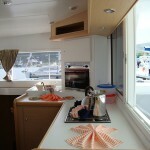 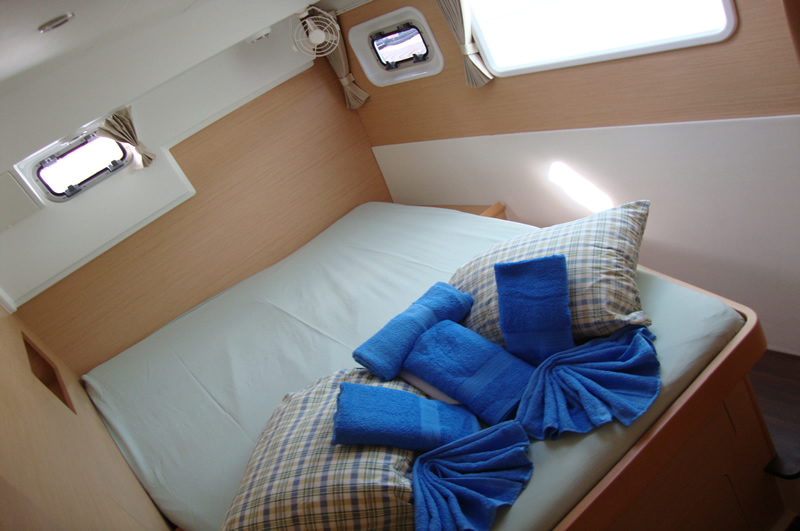 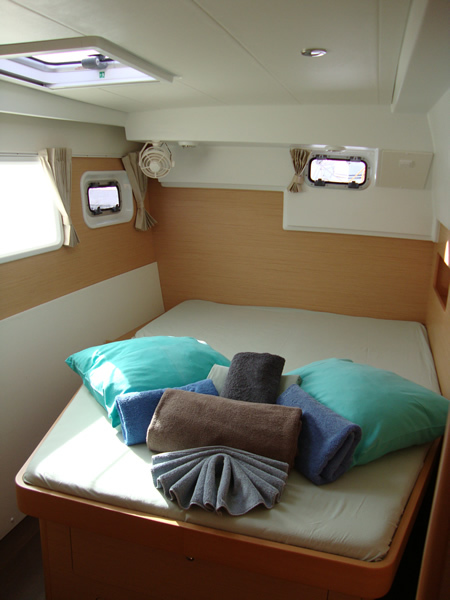 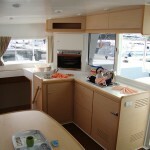 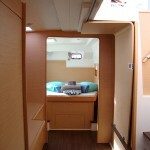 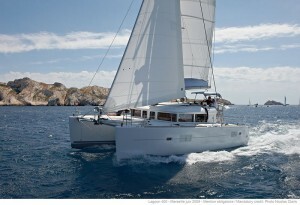 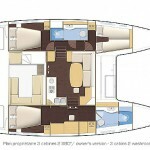 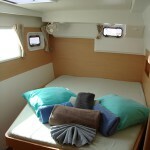 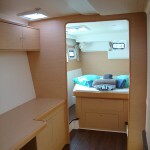 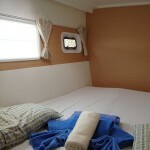 Blue Cat is a delightful, owners versions boasting 3 double cabins and 2 heads. 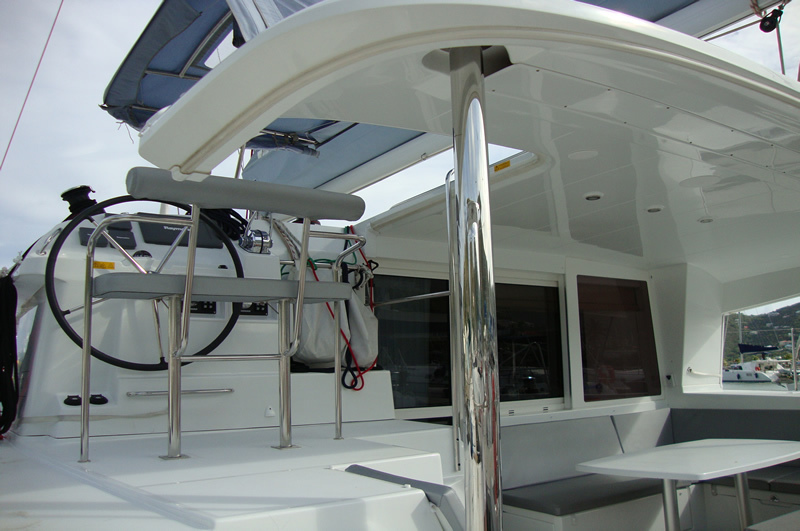 The hardtop canopy (which is angled slightly upwards as it moves aft) comes standard and it, and the increasingly more square coachroof, show the new evolution of the Lagoon lines. 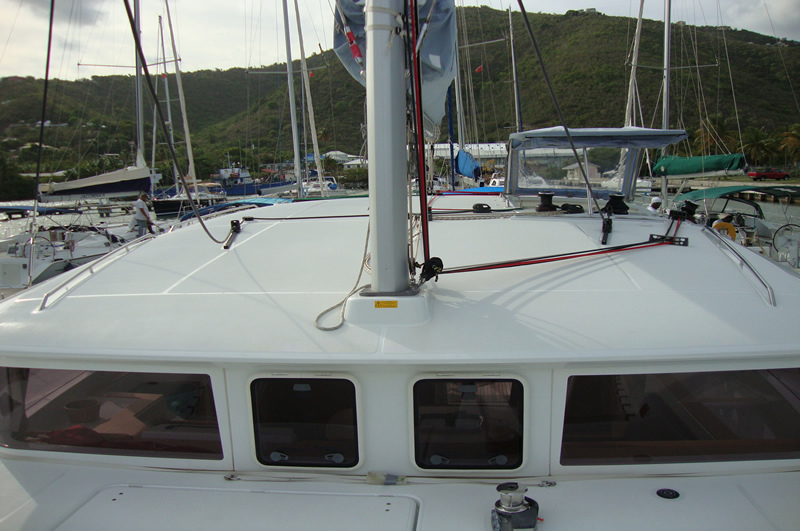 The deck has been redesigned too with emphasis put on fewer steps and hazards with flush hatches and fewer moldings. 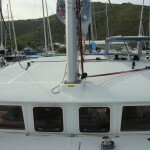 Forward is a double trampoline with a solid chain channel running from the windlass to the ground tackle. 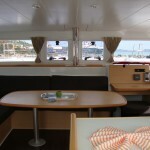 The decks are wide and free of obstacles and lead back and down three steps to an impressive cockpit with a U-shaped settee to starboard and a sort of chaise to port. 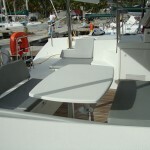 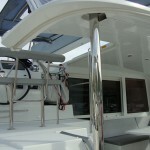 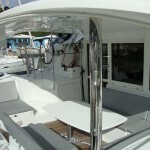 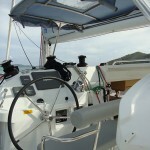 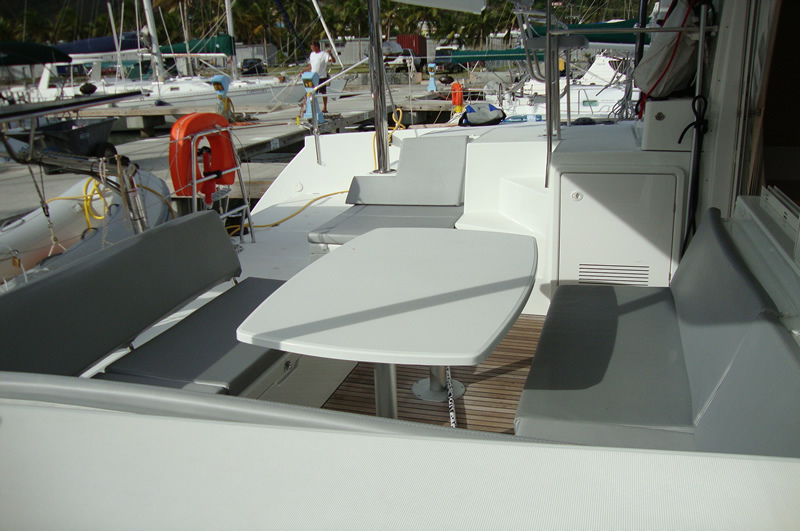 Dinghy davits raise and lower off the aft deck below which is a built-in storage space for a liferaft. 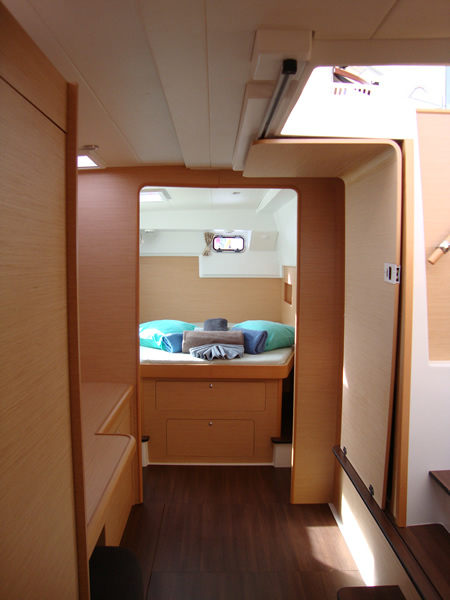 The cockpit is free of lines, offers great storage under the seats and is completely dedicated to relaxation and entertaining. 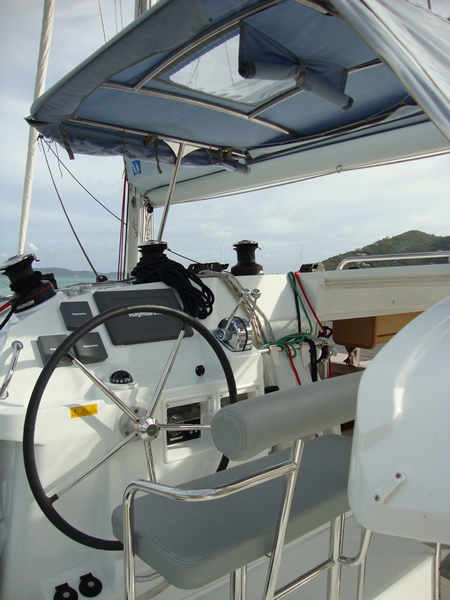 A forward facing nav station is to starboard next to a sizeable L-shaped settee. 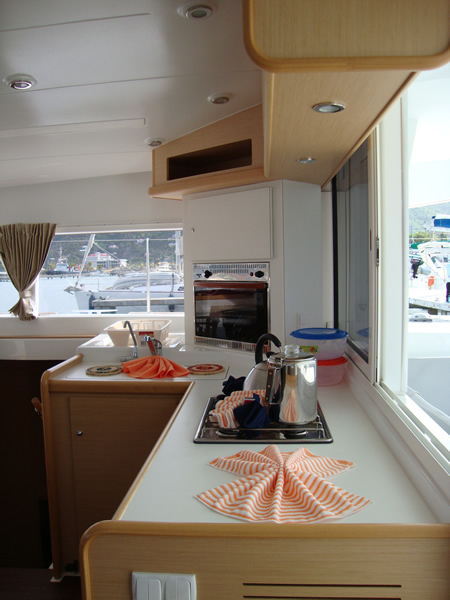 On port and near the glass sliding entry door are cabinets, one of which houses the electrical panel. 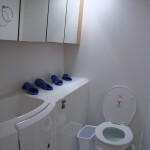 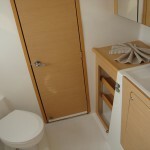 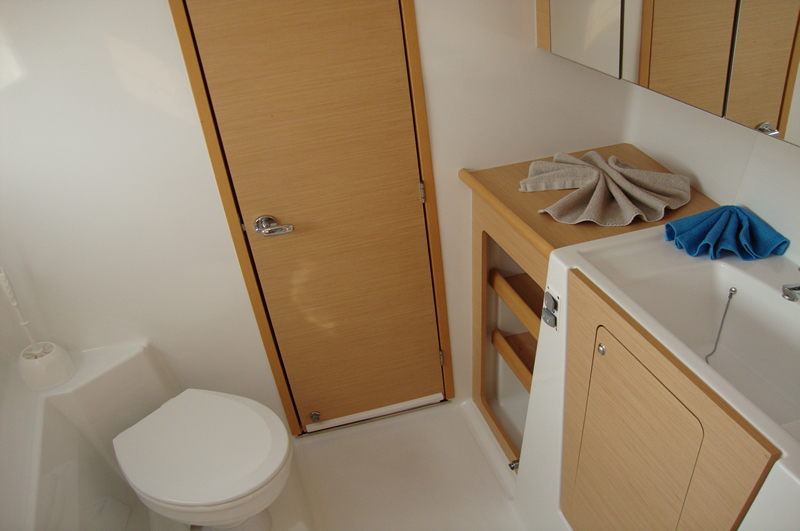 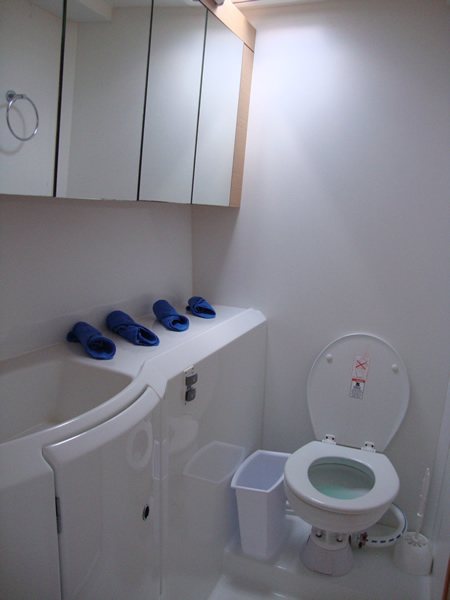 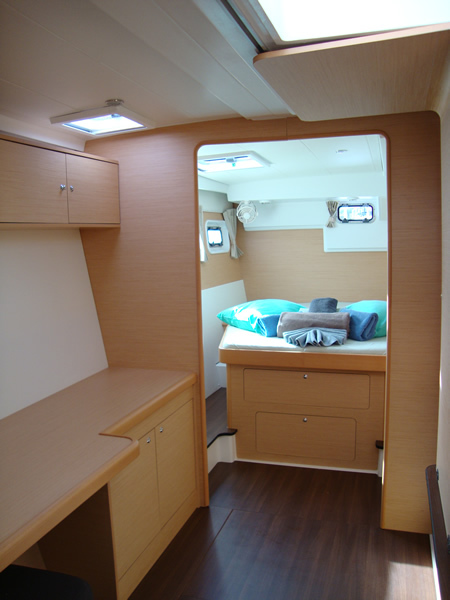 The owner’s version offers a small office amidships and a separate stall shower in the bow on starboard. 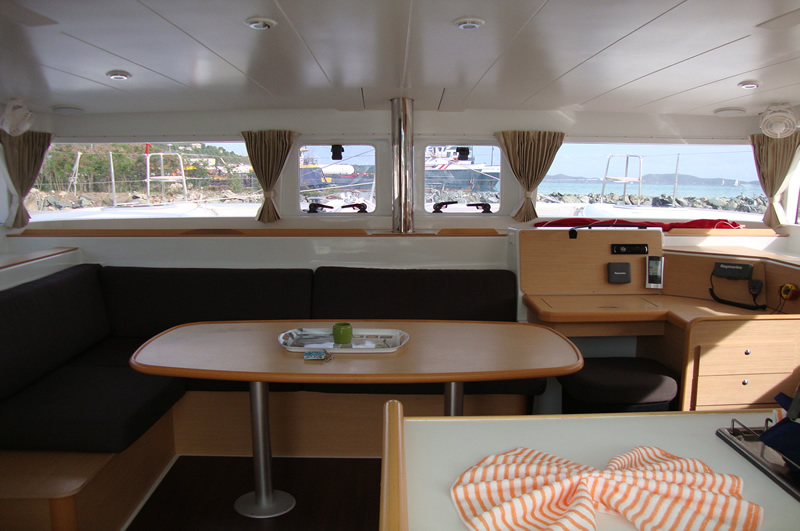 It’s the living space on the Lagoon 400 that leaves a lasting impression. 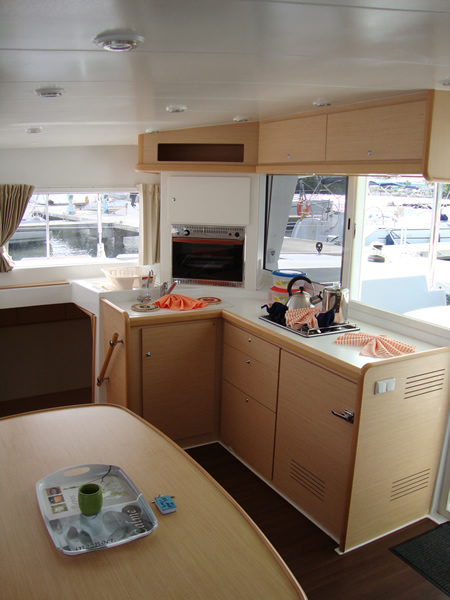 It definitely feels like a boat half again her size and the smooth transition between the cockpit and the saloon speaks to indoor/outdoor living that cruisers love.